Transport Canada went ahead with building a $5.4-million crash barrier to be used with future alternative-fuel vehicles at one of its vehicle test sites last year without knowing if it was worth the money, documents obtained by The Canadian Press show. The department said adding the outdoor barrier "allows for a wider range of vehicle testing," such as on natural gas and hydrogen-fuelled cars that cannot be tested on existing facilities. In an email, department spokeswoman Marie-Anyk Cote said the $5.4-million project helped to ensure the centre "remains a state-of-the-art facility." "The auto sector is experiencing a period of fundamental technological change, which will impact testing needs," Cote said. "It is important for Canada to ensure the centre remains current to address these new technologies, such as alternative fuel vehicles and automated technologies." 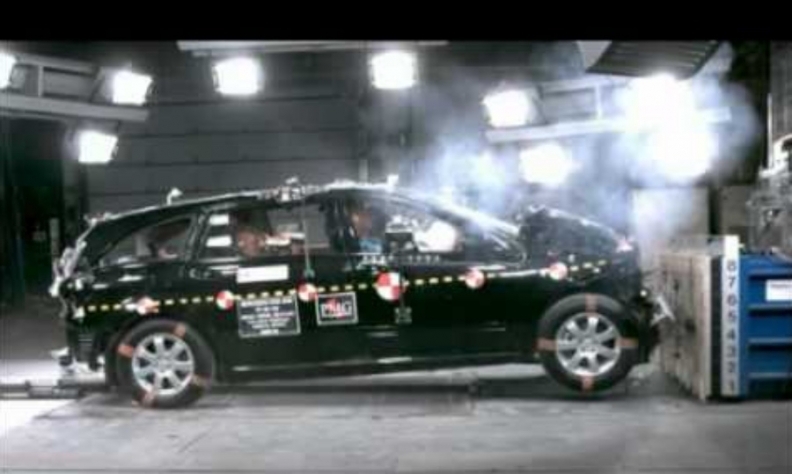 But the auditor general questioned the project in Blainville, Que., in his fall 2016 report, since the government slashed its crash test budget by 59 per cent the same year it opted to build the outdoor barrier. The report questioned the rationale for the project and whether it would get any use. A briefing note to Transport Minister Marc Garneau months before the report landed shows that officials didn't know if they would receive value for taxpayers' money. Officials told Garneau that the investments provided a "broader value to Canada" — the documents don't elaborate — even though there was no way to assess that value. "While there is value in this proactive project," the memo says, "the level of potential use has not been defined." The department's recommendations about the project have been redacted from the briefing note, which was obtained by The Canadian Press under the Access to Information Act. Officials say the information was too sensitive for public release. Transport Canada bills the centre as a unique, all-in-one facility that offers testing capabilities unmatched by any other facility in the country. The briefing note to Garneau said Transport Canada has "invested significantly" in the test centre _ the previous Conservative government pledged $14.2 million in upgrades in 2009 — but subsequent use of the centre hasn't increased to the same degree. Transport Canada uses the facility about half the time; the other half is for private companies that pay user fees. In the Liberals' 2016 budget, the government earmarked $5.4 million for the project as part of federal infrastructure spending. The department says design and construction of the barrier is ongoing. Garneau had planned a visit to the test centre in July 2016, and officials originally discussed having him make an announcement about the spending and construction. Officials killed the idea, however, fearing "negative attention this fall when the auditor general's report is released."